By Paul Hilder openDemocracy: Previously unknown recording reveals extraordinary ‘black ops’ on three continents – exploiting weaknesses in democracies left wide open by governments and Silicon Valley. It was May 2018. Brittany Kaiser, the second Cambridge Analytica whistleblower to go public, had just heard she was being subpoenaed by the Mueller investigation, in a moment captured in ‘The Great Hack’ (a documentary which premiered at the Sundance film festival this week). The media were reporting her February 2017 visit to Assange, another piece of circumstantial evidence supposedly connecting her to the controversies around the successes of Donald Trump and Brexit. Kaiser continued to protest her innocence and to cooperate fully with investigations. And today we can reveal more about what she knew. In explosive recordings that Kaiser made in the summer of 2016, excerpts from which are published exclusively by openDemocracy today, her former boss, Alexander Nix, makes a series of extraordinary claims. The onetime Cambridge Analytica CEO talks of bribing opposition leaders, facilitating election-stealing and suppressing voter turnout. When we asked Nix to comment on this new material, he told us that many of our claims had been proven to be false, and others were completely speculative and not grounded in reality. But what we are publishing for the first time are his own words. Nix boasts of orchestrating election black ops around the world. He reveals how in Trinidad and Tobago, Strategic Communications Laboratories (the British company behind Cambridge Analytica) engineered a highly successful grassroots campaign to “increase apathy” so that young Afro-Caribbeans would not vote. In Nigeria, evidence was found that SCL used rallies by religious leaders to discourage voting in key districts. Nix also makes a knowing reference to Brexit, although Cambridge Analytica has repeatedly denied involvement in that campaign. In the recordings, Nix describes one of his major clients, Republican presidential candidate Ted Cruz, as a “fascist”. And he sheds more light on the nexus of data, money and power that Cambridge Analytica deployed as it backed Donald Trump’s bid for the presidency. A number of these shocking allegations are also revealed in ‘The Great Hack’. Yet this is far more than a story of one rogue company, now brought low after its name became a byword for electoral controversy. It exposes the back doors through which democracies across the world have been left vulnerable to manipulation. And it is the tip of the iceberg. It was almost six years ago, in a London sushi bar, that Cambridge Analytica’s chief executive Alexander Nix first sought to enlist Brittany Kaiser, saying: “Let me get you drunk and steal your secrets.” Back when she was an idealistic nineteen-year-old Democrat from Chicago, she had dropped everything to work on Barack Obama’s first presidential campaign. Later, after studying human rights and international law, she had moved into the unruly world of trade deals with states like Libya and Iran. Kaiser resisted Nix at first, volunteering for the Ready for Hillary campaign instead. But her experience of the Clinton machine left her disillusioned and frustrated. What’s more, her parents were caught on a financial razor’s edge; she needed to pay the bills. In 2014, she finally struck her perilous bargain with Nix. He became her mentor, she his apprentice. Nix had teamed up in 2013 with the alt-right entrepreneur Steve Bannon and the family of hedge-fund billionaire Robert Mercer to launch Cambridge Analytica. Their mission was to arm a rising populist right to defeat the big data machine built by Obama. Kaiser’s decision to work for Nix and Bannon was hard for her former Obama colleagues to understand. Looking back, she told me with a measure of irony that she had been guided by the first African-American president’s creed: “It is important to sit down with rogue actors, without preconditions.” Like others of her millennial generation, she also felt dispossessed, impatient with the status quo and hungry for adventure. I first met Brittany Kaiser in February 2017. She was shockingly frank about her company’s role in the right-wing political revolutions of 2016, but it was clear that she knew even more. We spoke on several occasions over more than a year, before I suggested that she blow the whistle publicly to myself and Paul Lewis of The Guardian. She readily agreed. She testified against her former colleagues, providing arresting new evidence about their unpaid data work on Brexit for the controversial businessman Arron Banks (now under investigation by the National Crime Agency) and his Leave.EU campaign, as well as possible abuses of Facebook and insurance data. She provided the first real proof of Steve Bannon’s role in setting up these deals for Nix, and of Cambridge Analytica’s exclusive data relationship with Bannon’s alt-right propaganda platform, Breitbart News. In April 2018 Kaiser testified before the British parliament’s ‘fake news’ inquiry. She covered a dizzying array of topics alongside Cambridge Analytica, including her friends’ cryptocurrency-powered telecommunications schemes in Mexico, and her time working with WikiLeaks’ British lawyers at Doughty Street Chambers on “prisoner of conscience” cases. The parliamentarians wanted to know more about a group of hackers – alumni of Israeli intelligence – who she had introduced to oil-billionaire clients, and who had infiltrated the Nigerian political opposition as part of a 2015 campaign by Nix’s firm. But when it came to the inflammatory content of that campaign, Kaiser pointed the finger firmly at Sam Patten, a long-standing fixture on Cambridge Analytica’s roster of globe-trotting political strategists. According to whistleblower Chris Wylie, Cambridge Analytica/SCL used the campaign video in this report from The Guardian to influence the Nigerian presidential election of 2015. Immediately after running the controversial Nigeria campaign for Nix, Patten went into business with the Russian operative Konstanin Kilimnik. His new partner was not only the right hand of indicted Trump campaign chairman Paul Manafort in Ukraine, but also a suspected Russian military intelligence asset. Patten has recently pleaded guilty to channelling donations from a Ukranian oligarch into Donald Trump’s inauguration fund. Kilimnick himself is wanted for questioning by special counsel Robert Mueller, and has recently fled to Moscow. Collins then announced that Nix was pulling out of his own scheduled interrogation the following day. 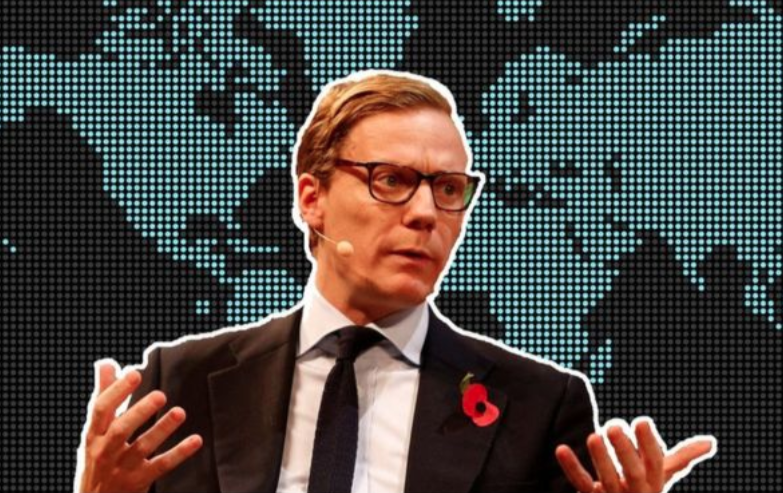 Within weeks, Cambridge Analytica and Nix’s wider network of data, political and security consulting operations had filed for bankruptcy. It took another month before the silver-tongued, polo-playing Etonian consultant accepted his third summons from Parliament. Wriggling under the spotlight, he claimed to be the real victim of the Cambridge Analytica scandal. According to his telling, a liberal media witch-hunt had found him guilty of the victories of Trump (who Nix had proudly helped to elect) and Brexit – which he still claimed to have had nothing to do with. Nix threw particular doubt on the credibility of Chris Wylie, the pink-haired Canadian whistleblower who first set off the firestorm by revealing to Carole Cadwalladr in The Observer his own role in procuring and weaponising the hijacked data of tens of millions of Facebook users for Cambridge Analytica. Nix claimed that Wylie had left in 2014 to set up his own competing firm, which then itself pitched work for both Trump and Brexit. According to Nix’s telling, Wylie had even spoken of being excited to engage with “crazy evil Russians”. I was part of the small audience for Nix’s parliamentary grilling. Next to me sat David Carroll, the principled campaigner for data rights who sued Cambridge Analytica to expose the thousands of pieces of political, consumer and psychographic information they held on him and 240 million other Americans. (Carroll’s dogged campaign recently secured the first guilty plea from Nix’s UK firm.) Suddenly I received a flurry of urgent messages from Kaiser, then in the US. The Guardian had just broken the story of her meeting with Julian Assange in February 2017. Based on private material submitted to Parliament, the article suggested that not only had she discussed the US elections with the WikiLeaks founder, she had even funnelled cryptocurrency payments to the organisation. On the same day, Kaiser contradicted the allegations in an interview with the Financial Times. “I didn’t conspire to leak Hillary’s emails and I have nothing to do with Russia,” she told me despairingly. I wondered: could this young woman really be the elusive link connecting the Trump campaign to Assange and ‘Guccifer’, the hacker subsequently unmasked as Russian military intelligence? Or was someone framing her to throw us all off the scent? Brittany Kaiser had already allowed me to review emails and documents in the course of my reporting, and to help analyse her materials for testimony and publication by Parliament. Now she allowed me to privately review a further motherlode of files so I could find out the truth for myself; she also agreed to be followed by ‘The Great Hack’ filmmakers. I understand that Mueller’s team issued a subpoena but it was never served on her, and that she has cooperated very closely with official investigations in the US. I found no indication whatsoever that she might have been involved in the Democratic National Committee hack. Kaiser had originally acknowledged in Parliament that she introduced Nix to her friends in Julian Assange’s London legal team in 2015, but said she knew nothing of her boss’s own contacts with him. Her cryptocurrency donation to WikiLeaks (made with gifted Bitcoin she had no other use for) had taken place several years earlier, while she was working on human rights issues in countries like Iraq. If we blame a young woman like Brittany Kaiser for all the failings of Western democracy, or harp endlessly on the significant roles played by Julian Assange or Russia, we risk obscuring where the greatest responsibility lies. As we unearthed more pieces of the puzzle, learning ever more about the back doors through which our democracies have been hacked, I realised the real scandal was closer to home. Investigations into Trump and Brexit are spotlighting a whole system of conspiracies against democracy, which together do more than any individual plotter to undermine the public good. Leading Western oligarchs, from the Mercers and Steve Bannon to Mark Zuckerberg, did far more than the Russians to elect Donald Trump. The full story has yet to be told. Justice demands that we ask the bigger questions. Just how bad can it get?